So, it’s something offered by businesses to provide storage space and access for websites. You own the ‘space’ whether this be shared hosting, or VPS or dedicated hosting running from servers. Anyway, the no BS way to look at it is it’s the foundation of your website, it what makes it always be online and accessible to you from anywhere. Starting at low prices we recommend going with a basic plan and get your domain up and running. This is less crucial for a CRM, as it’s not a website that you’re looking to promote widely to the public. We recommend using any domain or a subdomain of one of your existing domains. There’s plenty of tools to find good domains. This one is our favourite. 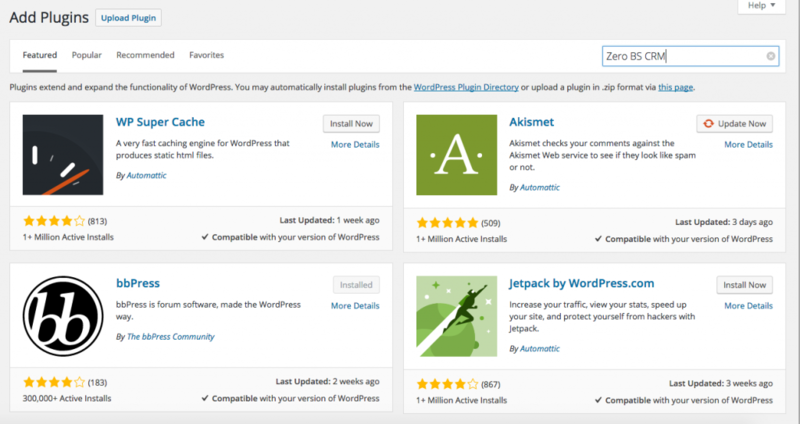 Installing WordPress is really straightforward and there’s plenty of guides online on how to do this. Most hosting providers come with Quick Install options where you can pick your domain and hit ‘Install WordPress’ fill in an few details and you’re good to go. Zero BS CRM is a free plugin available from wordpress.org. This means getting setup initially is super simple. If you’re reading this, you’ve probably already downloaded and activated the plugin. If you haven’t then you can get the Zero BS CRM system onto your WordPress install in a few simple steps. Then Search for Zero BS CRM. 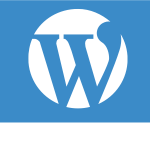 This will bring up the plugin from the WordPress directory. Then hit Install Now.